Summertime means road trips and typically rising gas prices. Yet, while the fuel efficiency of your vehicle matters most, choices you make while driving, including driving style and route, can boost fuel economy by up to 45 percent, according to a University of Michigan Transportation Research Institute (UMTRI) study, with driving style accounting for up to 38 percent, according to an MIT study. So visit the pump less often and save money when you do by maintaining your vehicle, picking an eco-friendly route, driving with fuel economy in mind and finding the best fuel prices. You may even become a better driver along the way. Whenever practical, turn off your car instead of idling. Idling for even 10 seconds wastes more gas than restarting the engine, according to the Environmental Defense Fund (EDF). Stay within posted speed limits. Gas mileage decreases rapidly at speeds above 50 miles per hour. Stop aggressive driving. You can improve your gas mileage up to five percent around town if you avoid "jackrabbit" starts and stops by anticipating traffic conditions and driving gently. Use overdrive gears and cruise control when appropriate. They improve the fuel economy of your car when you're driving on a highway. Remove excess weight from the trunk. An extra 100 pounds in the trunk can reduce a typical car's fuel economy by up to two percent. Sitting idle in traffic costs U.S. drivers, on average, $139.84 per year or $11.65 per month, according to data released last February by INRIX, a supplier of real-time traffic information to navigation devices and apps. This is based on the fact that the average driver wastes upwards of 38 hours stuck in traffic jams––quite a bit more in Los Angeles (64 hours) or Honolulu (60 hours)––and an hour idling equates to one gallon of lost fuel, says Jim Bak, a spokesman for INRIX. That's assuming the price of gasoline to be $3.68 a gallon, though prices could rise to nearly $4 this summer. The most gas is consumed while accelerating from a stop or braking, so the worst fuel economy will be had in stop-and-go traffic or along routes with many turns (which require slowing down or perhaps stopping in advance). So using an app like the INRIX Traffic app for iOS and Android, which provides real-time traffic information and also predicts traffic along a route, can save fuel. 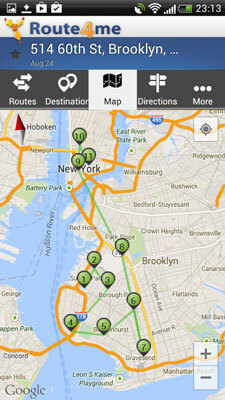 INRIX Traffic can be used to plan the best time to travel for avoiding bottlenecks. Beyond the real-time traffic services found in many apps, there are other fuel-saving routing options. For example, Route4Me (free for iOS and Android for up to 9 routes per month) offer an “optimize route” function for multi-destination trips that calculates the fastest route over the shortest overall distance. Keep your engine tuned. Tuning your engine according to your owner's manual can increase gas mileage by an average of four percent. Increases vary depending on a car's condition. Change your oil. 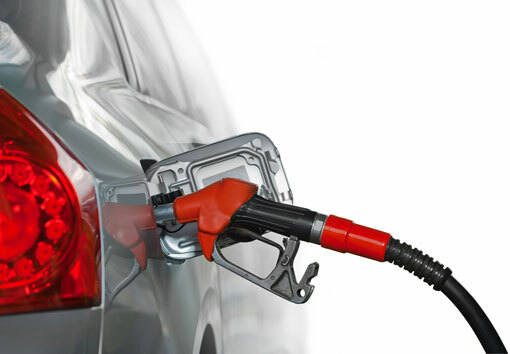 You can improve your gas mileage by using the manufacturer's recommended grade of motor oil. Motor oil that says "Energy Conserving" on the performance symbol of the American Petroleum Institute contains friction-reducing additives that can improve fuel economy. In addition, you can invest in a device that plugs into a special port found in all automobiles built since 1996––called OBD II and usually found below the steering wheel––that can retrieve vehicle diagnostics and performance data such as throttle position and engine load from the vehicle’s electronic systems.This data can be used for better routing and identifying vehicle problems that may not pose an immediate risk but could be costing you at the pump. Garmin sells an OBD II accessory for Android smartphones and the company's ecoRoute-compatible nüvi navigation devices, named the Garmin ecoRoute HD ($89.99 on Amazon). The data it collects is sent to the Garmin Mechanic app (free on Google Play) or navigation device from the device (via a Bluetooth connection), which makes for precise results in the various ecoRoute reports and the Driving Challenge, which otherwise utilize navigation device-generated estimates of speed, acceleration and braking based on GPS positioning data. Moreover, some of the data monitored by the Garmin ecoRoute HD accessory identifies vehicle problems that have set off the “Check Engine” light and may affect fuel economy without posing any other immediate risk. For example, a failing oxygen sensor will trigger the check engine light and will reduce fuel economy by up to 40 percent, says Art Jacobsen, vice president at CarMD.com Corp., which sells its own CarMD 2100 Vehicle Health System and Diagnostic Code Reader for OBDII Vehicles ($99.99 on Amazon). It identifies both hidden problems that may trigger the Check Engine light in the future as well as those that already have done so. One such hidden problem that lowers fuel economy could be a faltering knock sensor, which would trigger a warning from the CarMD device but would not trigger the Check Engine light, Jacobsen says. A failed knock sensor could reduce fuel economy at least two to five percent, Jacobsen says. The CarMD device is a stand-alone unit with its own display and warning lights to identify all vehicle powertrain problems communicated via the OBD II port. If you pay close attention to where you stop to refuel, you could save cents on every gallon. And while that might not sound like much, it can add up to a bundle. For that, check out GasBuddy (free for Android, iPhone, Windows Phone and BlackBerry). While the pricing information is user reported, it's accurate and quickly updated in our experience.